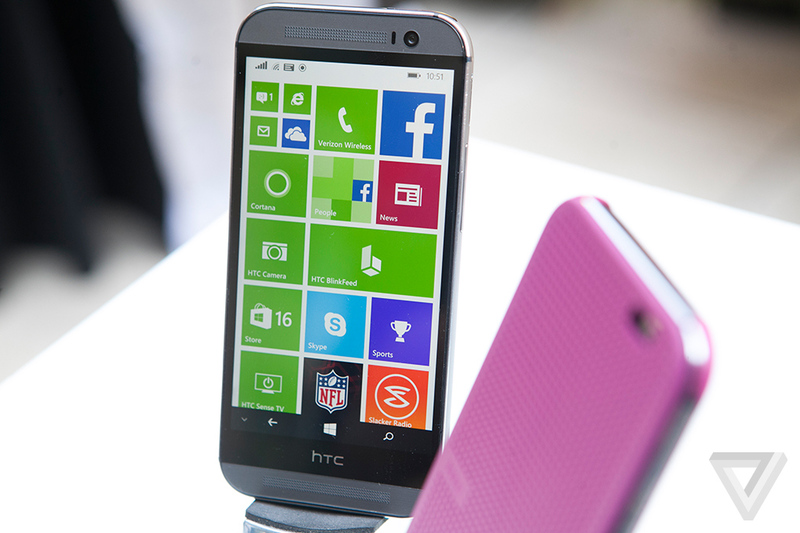 When I first heard that HTC will be making another high end Windows Phone I thought that was great, only to find out it’s the HTC One M8, now thats a surprise but a very smart move.The exact same hardware but installing the Windows Phone 8.1 on it is the smartest moves HTC have done, it will only expand their audience. 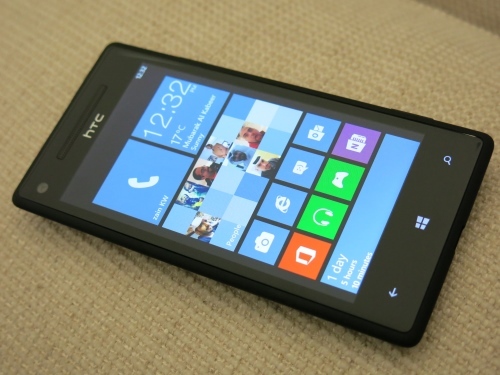 The last HTC Windows phone I had was the HTC One X which was a great device but very weak on the hardware side. 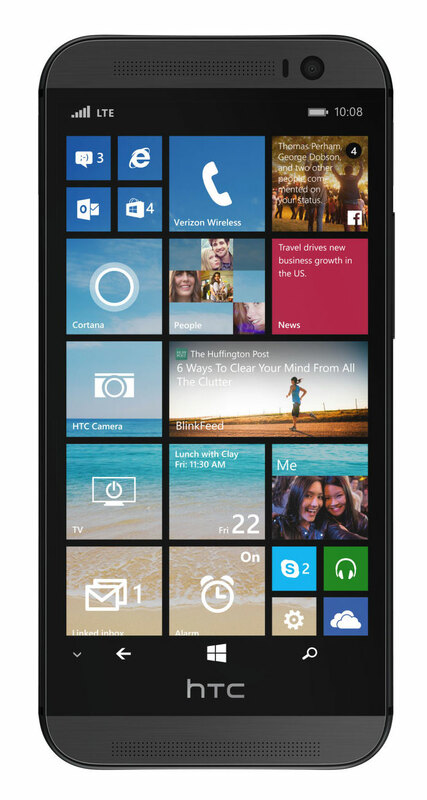 Now this will be in competition with the Nokia Lumia 930 which is currently the high end model from Nokia with WP 8.1 and I am loving it. There were will lots of comparisons between the two and I for one will be making my own to describe two very different devices. The M8 for Windows has the same Qualcomm Snapdragon processor, 2GB of RAM, and 32GB of storage as its Android counterpart. 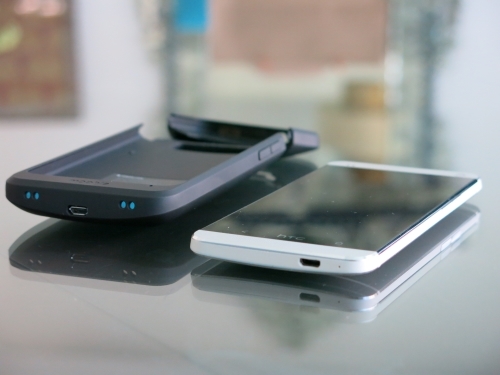 The 5-inch screen has the same 1080p resolution, and both front-facing BoomSound speakers are present and functional. 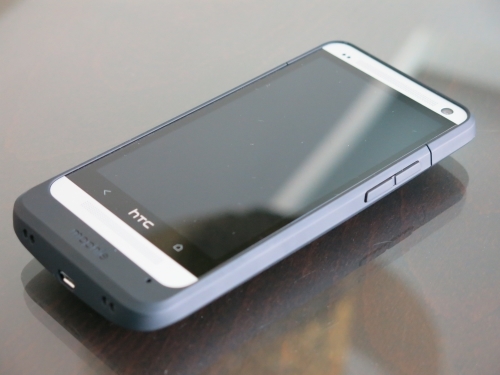 The rear camera is the same 4-megapixel Ultrapixel camera with HTC’s Duo Camera depth-sensing tech, while the front-facing camera is the same 5-megapixel unit. 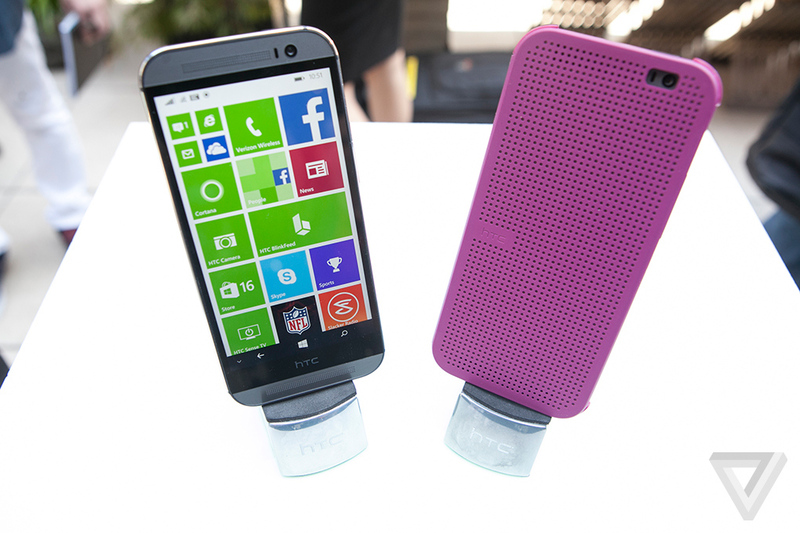 The only major differences are that the Windows version will only come in the gunmetal gray color. 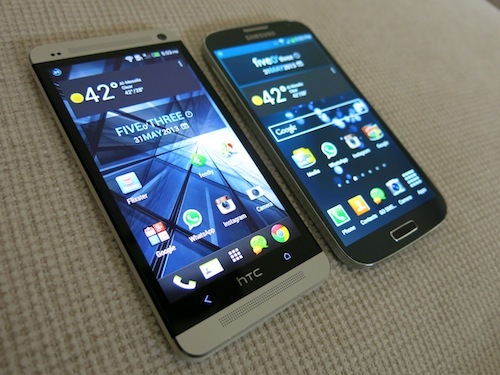 With the release of the Samsung S4 & HTC One, everyone was running to get their hands on it, true 4G Android Devices which honestly make the iPhone 5 look like crap and its going to have to do a lot more then just another hardware design to beat these two machines. 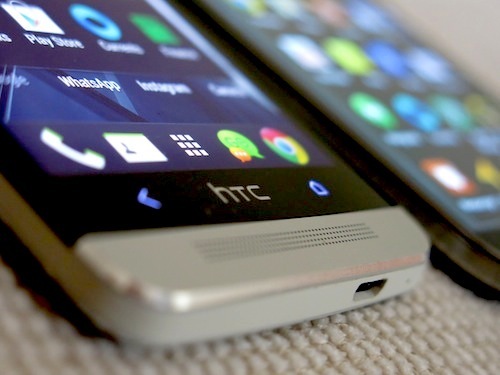 HTC have been having a hard time getting things right with Android after Samsung took the lead as the best, but I honestly think they have a great device on their hands with the HTC One. 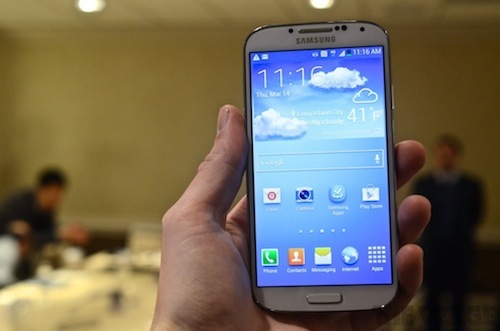 The Samsung Galaxy S4 was a smart move by Samsung, the S3 was so successful that they just improved on it slightly in regards to the design and packed it with the best possible hardware they could put together. There were a lot of comparison and technical reviews, but I wanted a real use review of both machines to see which fit better and for what use. I wanted to really try both phones and after almost a month of having them both I can honestly say there isn’t just one conclusion, it just depends what you want because they are both really good. 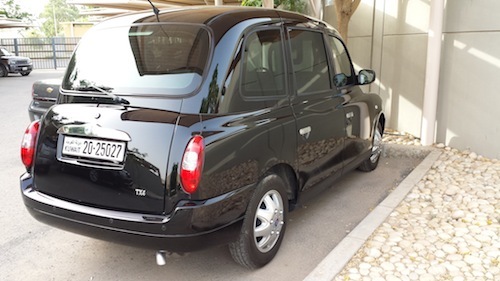 It’s very important for a device to have a strong wifi signal capability, it has to capture it and use it. 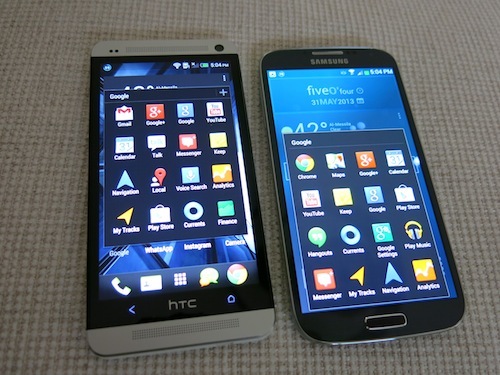 And out of all the Android brands out there, I can say that Samsung has that down, they pretty much have everyone beat. And sadly the worst out of the bunch is HTC, I had the problem with the HTC One X and with the HTC One it’s signal always weaker then the S4 and sometimes it can’t see the Access Points. 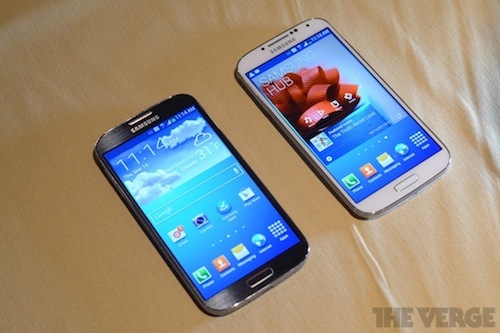 The Samsung S4 screen is huge, both screens are crisp and excellent touch interface. 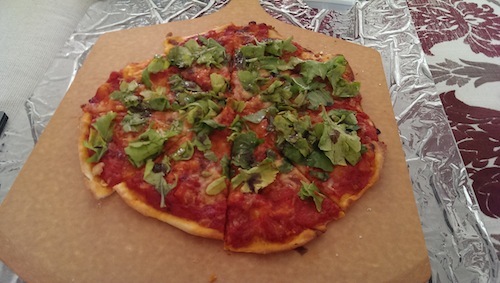 Honestly they are both excellent. 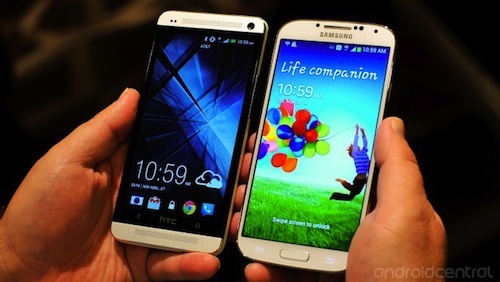 If you want the bigger screen then the Samsung S4 is the way to go, but its a matter of preference. Both of them have amazing brightness and you can easily see them during day time. Honestly hands down the HTC One wins in this department, if Apple wants to copy anyone for their next phone then it would be the HTC One. 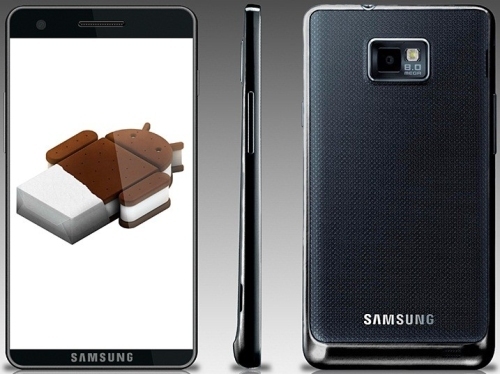 The Samsung S4 is 80% the same as the S3 just bigger screen and an aluminum frame which I liked. 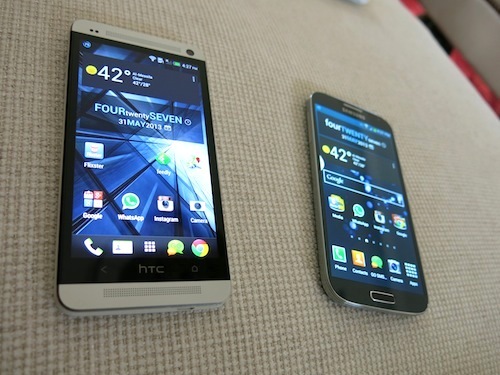 The one benefit to the Samsung S4 is that it feels lighter then the HTC One, but still it looks better then the S4. 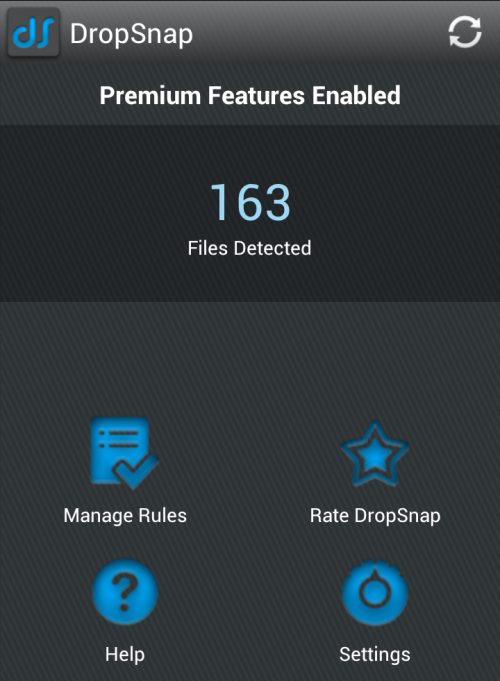 One aspect that I like about the S4 is the ability to add the a MicroSD Card, that is a huge win for the S4 in my case. You don’t need that much space on your phones these days but having the ability to is a huge plus. HTC has the Ultrapixel which is sort like a supercharged 4MP which performs better then most camera phones with higher Megapixels. 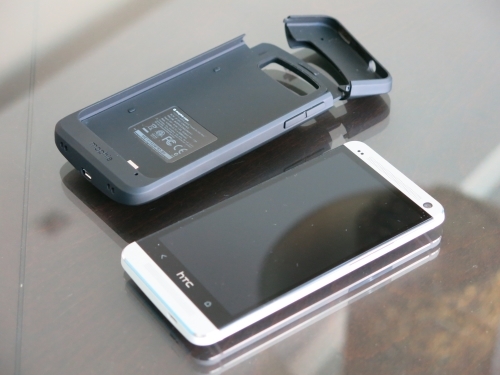 The HTC has the machine gun shot which shoots multiple shots and you can choose the best or keep them all which is a great feature. 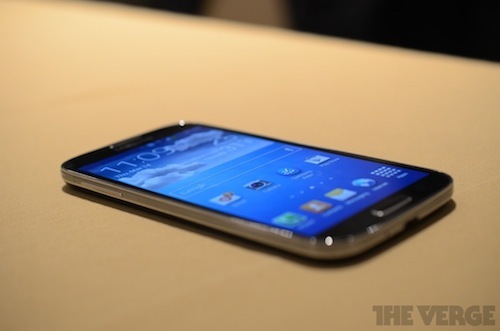 The Galaxy S4 has an amazingly crisp camera, they improved on their best selling Galaxy S3. 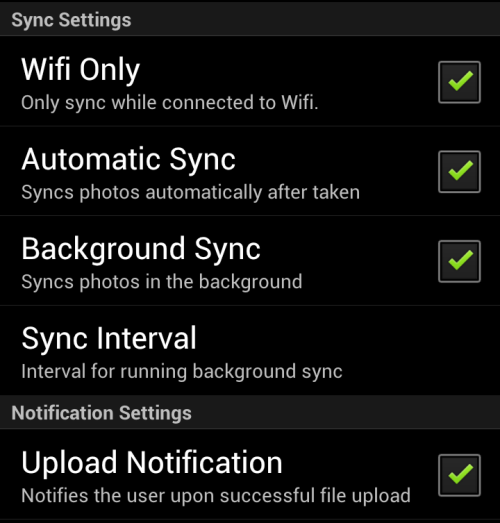 And they included all the features of the Galaxy Camera with all the different settings and mode. The HTC One has the low light shots done perfectly, this is one thing that HTC has had down. 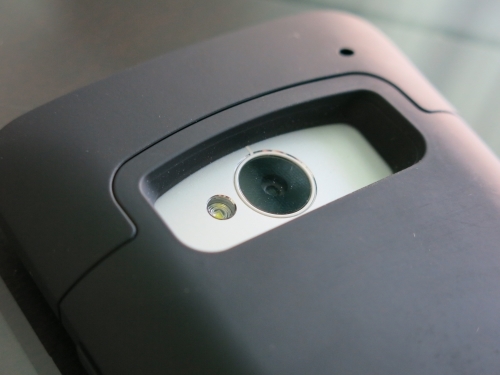 Between the two I preferred the S4 camera, but it’s just barely better. And hands down both better then Apple iPhone 5. This takes a bit longer to figure out but both Android devices lasted a full day of abuse. Nonstop wifi use, making phone calls and sending messages, they could both take it. 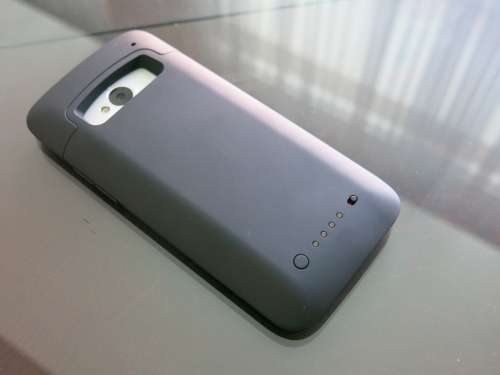 And I know over time I will get the Mophie battery case for the either phone, and its a matter of time the case comes out for the S4 since its selling like crazy as expected. To be very honest you can go with either of them, this really comes down to preferences. 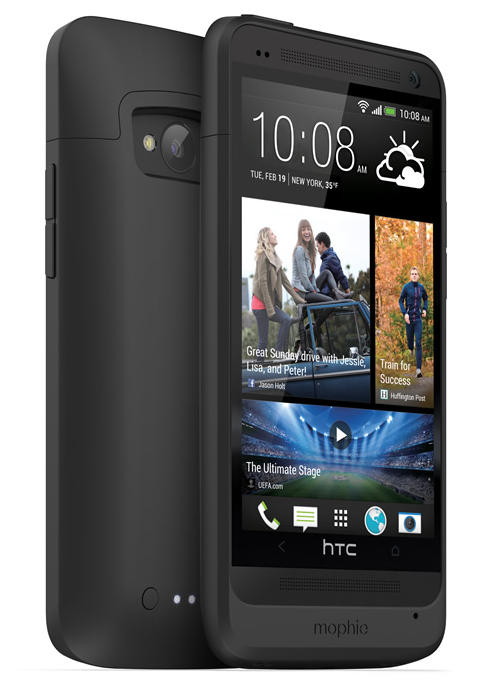 I prefer the HTC One Sense Skin feel over the Samsung Touch Skin, since its less intrusive in this case. 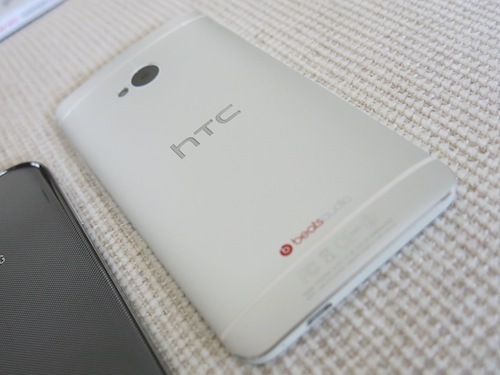 I always prefer getting phones from Google because its a clean installation and I can do as I please, but in this case I had to choose, and the HTC One was cleaner and crispier. 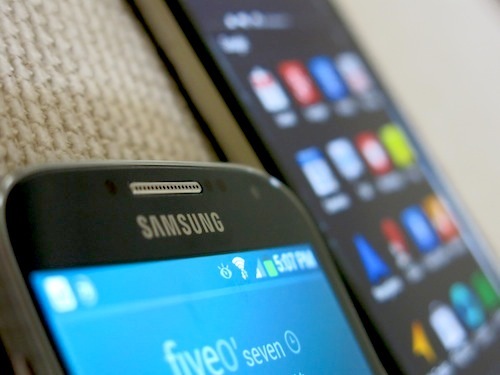 I just get annoyed with Samsung trying to make things more watery with the TouchWiz Skin. 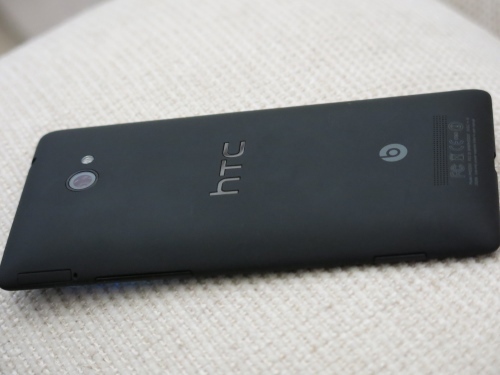 Now for the Sound hands down the HTC One has amazing sound, by far much better then the S4 and it can easily blast music in a room, you wouldn’t think its a phone speaker. I really hate the keyboard, had to get the Swift Keyboard so my fingers don’t feel like they are stretching across the screen. It really made me feel like I was learning how to type for the first time. The speaker is loud but not crisp, I wish they put it up front. The air gestures aren’t really that useful, I only like the finger hover when in the gallery for a preview but the rest makes you look crazy when your staring at the screen trying to make things move, if you have an S4 you know exactly what I’m talking about. I hate the Blink Feed, wish there was a way to get rid of it since its taking a piece of the screen that I could use and you only have a limit of 4 screens. The Weak wifi signal is a breaker for me, I have to have good wifi on my phone. Choosing between them is tough but I had two deciding factors which were the Wifi Signal and Camera, which in this case the S4 was the better choice even though I really like the HTC One design. 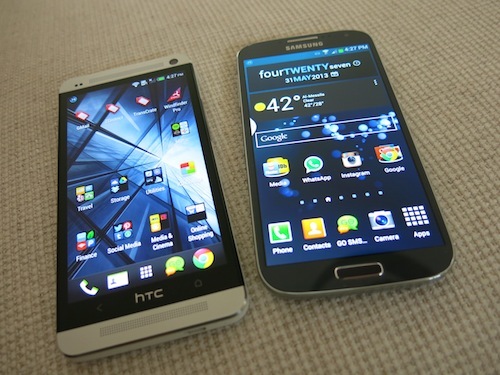 I picked up the Samsung S4 LTE from Al Babtain and got the HTC One from a friend. 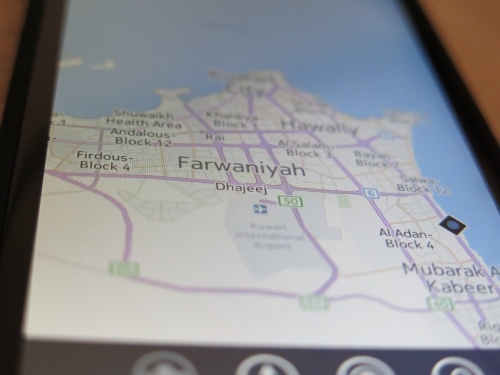 Honestly Babtain did a great job of making the phone available all over Kuwait and quickly, the HTC One was like hunting an endangered species. 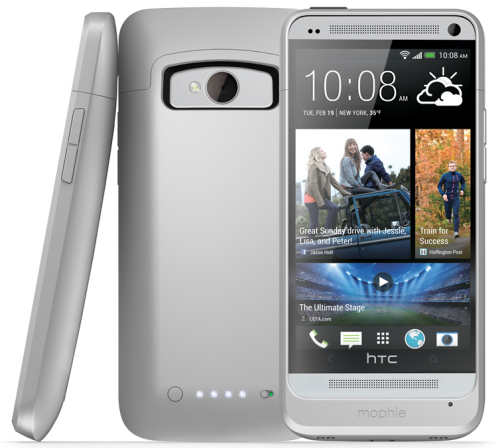 This is a surprise to me, turns out the Mophie made a Juice Pack for the HTC One, they never made it for any other device other then the iPhone and the Samsung SIII, and its not that there is huge volume of the HTC One out there, so I wonder what made them change their mind and produce it. I for one am happy that they are producing the juicepack for other manufacturers, and they are bound to make one for the Galaxy S4. 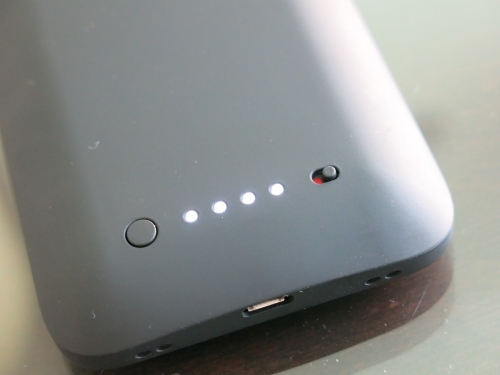 For $99 its reasonably priced, and you know you love it the moment your phone is on the verge of dying, 2500 mAh is enough to bring it back to full charge without any use. My experience with Microsoft dates back to the original CE phones back in 2003, I wanted something different and that phone was different and to configure it you needed a doctorates degree in physics. But I like the bubbles game on it, then i tried Windows 3.0 for work and that had decent integration with Microsoft exchange. But nobody did integration like Apple & Google did, so I switch to Android the moment it came out and before that I was on the SonyEricsson platform. 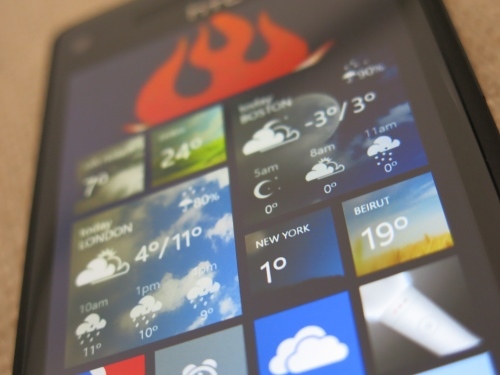 With the introduction of the Windows Phone 8 they are finally trying to make a decent competitor to the Apple & Android platform and right now its a few steps behind but still impressive. 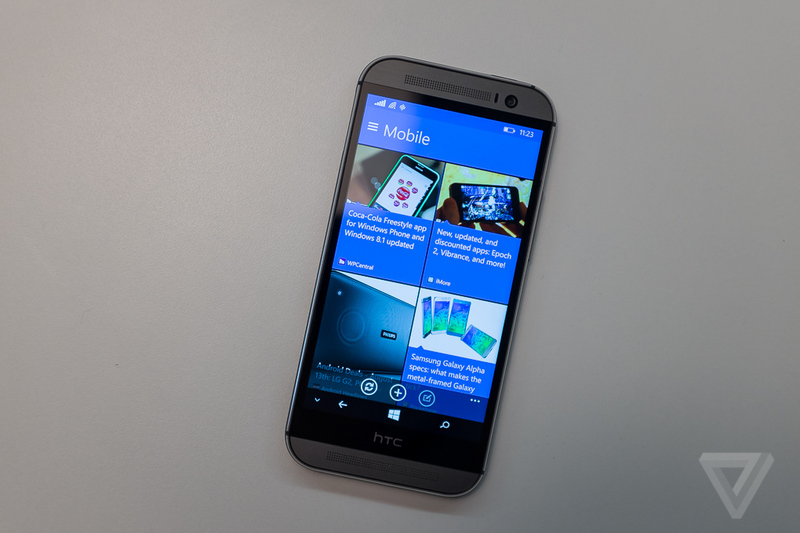 With Windows Phone 8 has some decent integration with Windows 8 such as auto photo updates, and the Microsoft Office Suite integrates nicely with the Windows Phone 8, especially OneNote which is probably the best note taking tool I have ever used, even better then Evernote. As well as SkyDrive integration which can sync your photos as well as your documents, trying to be a better DropBox for Windows which isn’t too bad. The operating system itself gets a little getting used to, its like visiting somewhere for the first time, you know enough to get around but need some time to get really familiar with it. There is smooth feeling to the operating system that I like, and after 6 months of abuse the phone has not hung on me once which is great for a smart phone of this caliber. The App store is pretty decent, has some junk in it but they all started off that way, they have about 80% of the Apps that iOS & Android have. Music integration has been fantastic, you can load up all your iTunes playlist as well spotify which is exactly what I’m doing. Has some fun XBox integration so the games you play are displayed. It sort of between the strict Apple platform and the loose Android platform, its formed but flexible and I really like the tiles and options of the live tiles. The email display feels wrong, it just doesn’t do a good job of displaying emails no matter what email I use. I think they can do a better job with that. They don’t have instagram, I won’t kid myself I’m addicted to it. 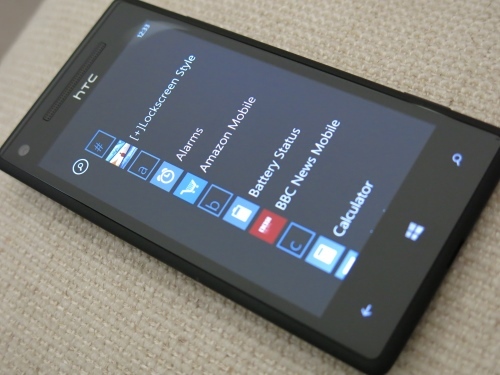 Better integration with Windows 8, I want it seemless, just as Android is integrated with everything Android. 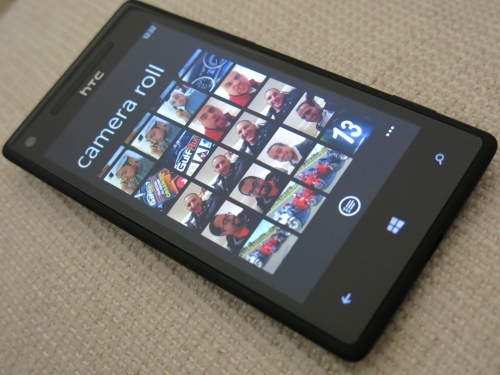 I’m using the HTC 8X and I’m honestly loving it, its a light phone with an excellent camera. And the battery lasts over a 30 hours with a lot of abuse. Even when I was riding over 5 hours in San Diego while listening to Spotify the whole time it only lost 25% of the battery which is insane, if i did it with the Nexus 4 it would have lost 50% and with the iPhone 5 only 20% battery would be left. Overall I’m honestly loving the windows platform. This phone got a high rating for stability and the long lasting battery and a great selection of Apps. Microsoft have a good thing, they just need to clean up their App store and integarte it with Windows 8. They really are in need of Youtube and Google Maps, there are replacements but they don’t beat out the originals. They built an excellent product I just hope they keep on improving it, and I love that when other phones run out of battery this one is still going. The success of this platform depends on the Apps available and Microsoft knows this, Blackberry failed because of this, thats why they are throwing everything they can at it and hopefully it will keep growing. 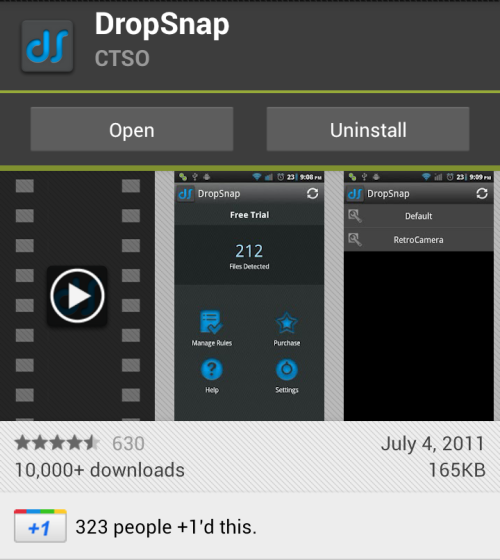 They have substitute Apps for most of the major ones, but hopefully the major App developers will develop for Windows. All this wait and finally this phone is out and it hasn’t changed too much in the looks department but the guts of the phone looks very impressive, its packing a punch. I think Samsung is taking a page out of Apple’s book, the design is fine but they did a major upgrade on the internal parts of the device. They are aiming to release it towards the end of April and knowing what happened last time, these are going to sell out quickly. 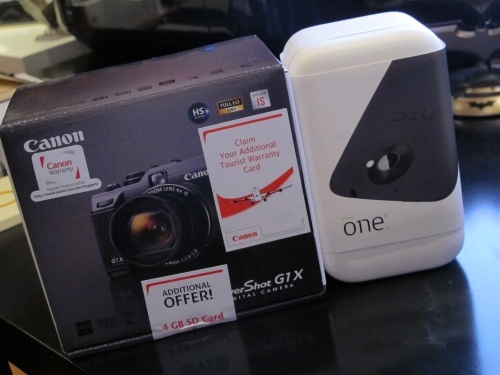 One hell of a camera! 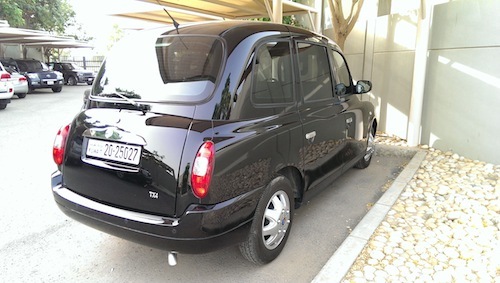 This time they made it in black, not blue! Why is the LTE based on location, why don’t they have a multiband LTE like they do for the 3G/2G so it can work across all networks not just LTE in one region or another. I would like to talk about the camera since that is a feature which is essential to our media dependent lives and the ability to share pictures in all directions. Now this is an interesting features, the dual-camera setup on the S4 can be used in video chat like everyone else and photographs, so a pic of you and what you have your camera pointed at, and the camera as mentioned about in the Specs is 13MP which is very impressive, the S3 camera was great, this one looks to be even better. 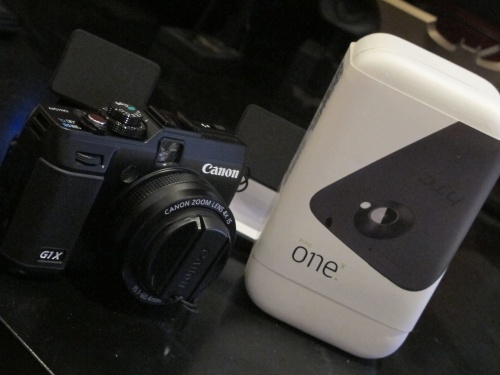 They even took features from the Samsung Galaxy Camera and set it up with the S4 which is a smart move on their part. 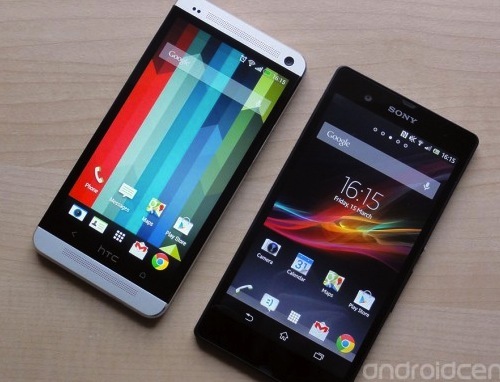 My opinion is that Sony makes good looking devices, but the OS is always lacking something and they NEVER update their phone, and that makes a huge difference, if you really like it then get, but other then that I would go with either the HTC One or the Samsung S4. 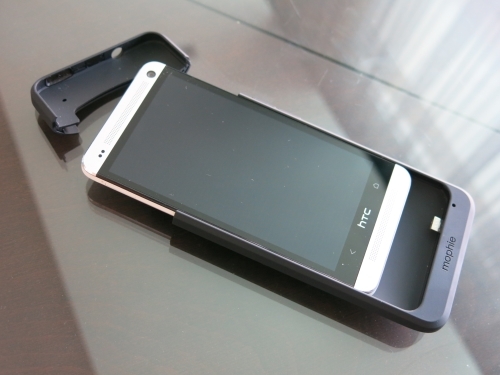 If you like HTC then you will love the HTC One, very solid build, and they really worked on the software this time around. 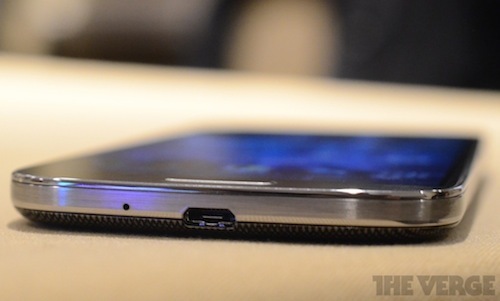 And Samsung as usual has come out with the full featured monster. If I had to describe HTC and Samsung’s software philosophies in a single sentence, it’d be this: HTC puts more emphasis on design, whereas Samsung packs in more features. 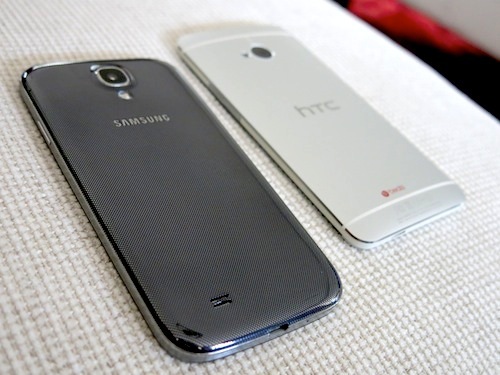 Overall I love the metal design of the HTC One over the Samsung S4, but I like the camera use of the S4. When it comes down to these two its a matter of preference. With the end of the Mobile World Congress everyone has something to show, there is a lot software vendors there but its where all the big mobile players show off their new phones and the line up for Android looks very enticing. I don’t really need a new phone since my Galaxy Nexus is a fantastic phone but damn these phones have amazing specs and look hawt. As usual HTC come out with powerful machines, they were the powerhouse of Android when it first came out and still come with some impressive hardware. 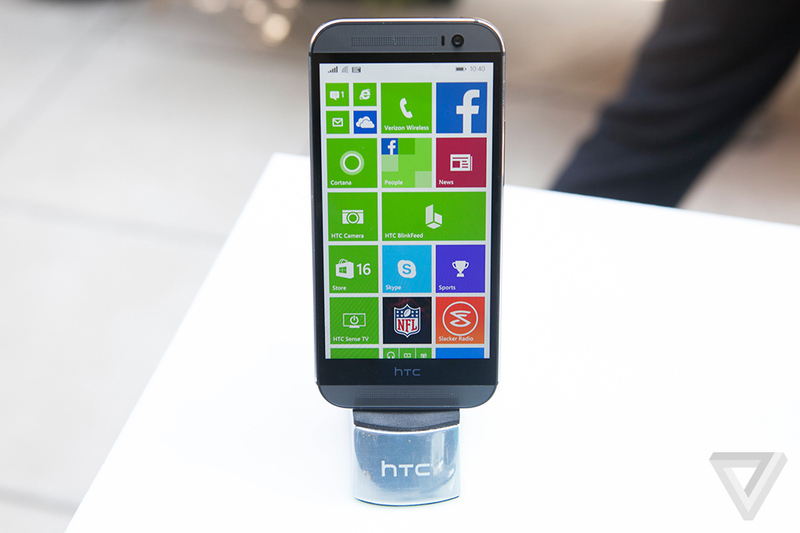 The main issue I had with HTC is that they had too many phones, I didn’t know what was good or bad from them and it seems they learned that lesson so they came up with the HTC One line up, only three phones and the One X is the powerhouse of the bunch. 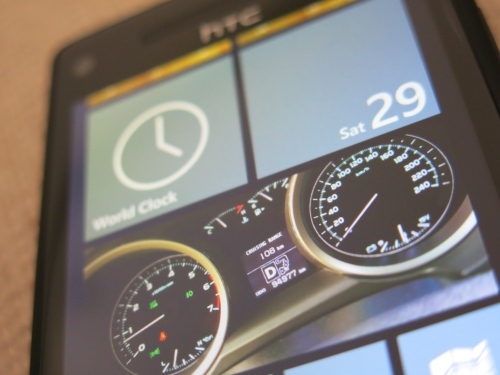 Also I was a huge fan of the HTC Sense User Interface since initially it made things so much smoother with Android 1.6 but over the past two years it has gotten a bit bloated and not simple as it used to be and they are planning to fix it with the new line up which is excellent. 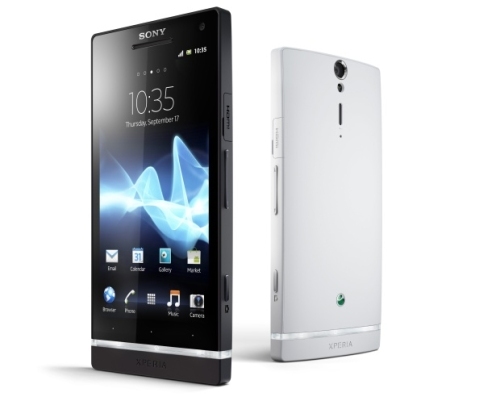 Sony do know how to design their phones and in this one it seems they got it right. The one part they always do an amazing job with is their cameras, they seem to be the best possible cameras out of all the phones but you never know what to expect. But the design of this phone looks very clean cut, and I had the last Sony Ericsson Xperia Arc, it was a fantastic phone so I’m looking forward to their next line up, but I would wait until they ship with Android 4.0, I wouldn’t want it with Gingerbread since I have been using Ice Cream Sandwich and it is a fantastic operating system. No specifications have been released by Samsung yet for this phone, but it seems it might have a Quadcore chip and all the bells and whistles to make it one very powerful phone. The S II surprised the market and Android became synonmous with the S II, even people who didn’t know what Android is they know its Samsung Galaxy SII, so now with the SIII I’m expecting it to be top of the line. At this point they are expecting some news in March and a release date set for July. 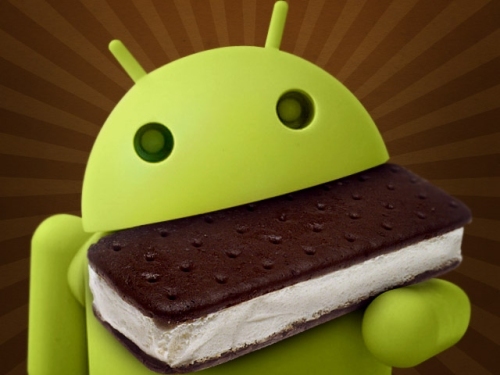 Since getting the first Android phone I have loved the quick development of the OS and the variety of the phone, the updates were initially extremely annoying but they have gotten much better at it and more streamlined with more manufacturers on board with a larger variety of very cool powerful phones. 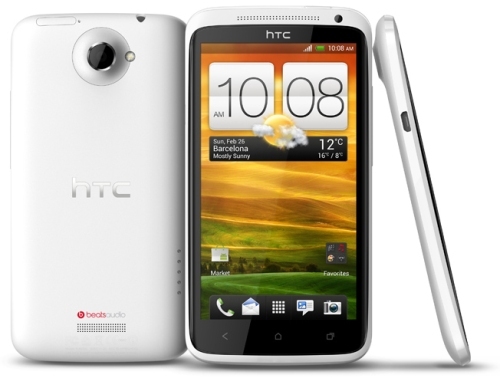 My last phone is the HTC Desire and I have banged up the phone until there isn’t much left of it. I have had my eye on the SE Xperia Arc since it was announced and especially since they would launch Android 2.3 Gingerbread with it, not like the mistake they made with the X10. 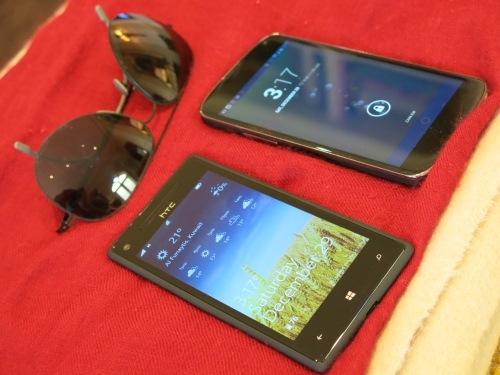 The SonyEricsson Xperia line is a very beautifully designed line of phones, and the Arc caught my eye. 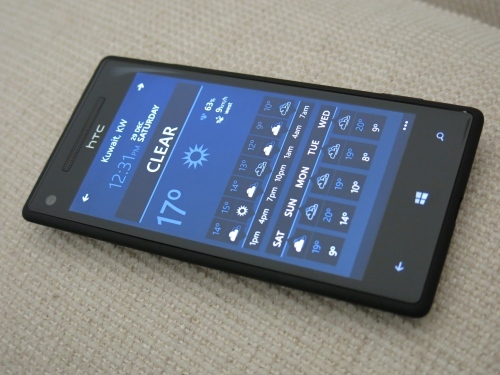 I did the migration between the HTC Desire to the Xperia Arc over a two week period, I wanted to get used to it and small differences between the HTC Sense customization to the Xperia customization, and I am a big fan of the HTC Sense UI so it took some time. 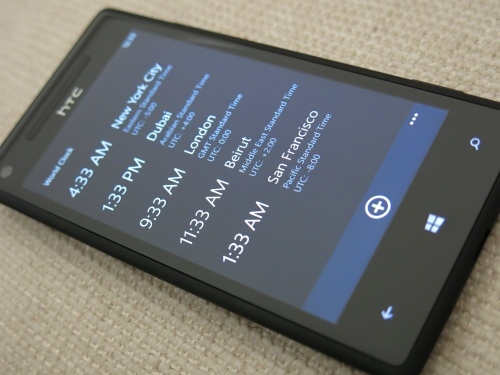 Migrating the contact details, emails and usual settings took just 10 minutes. But I took my time migrating the programs, I wanted to see what kind of widgets it had preinstalled and then added the programs I like and the new ones I wanted. My old phone had a limited memory so I couldn’t add any more applications, I kept running out of memory so in this case it had a substantial amount of memory on the Xperia.